Grab your spy gear and gather your team to see if you can pull off the greatest Diamond Heist this city has ever seen! The Story: You and your team are here for one reason; to steal the diamond! The famous North Diamond was on loan to the Electric City Museum and displayed in the Slocum Wing. A competing team of spies already attempted to steal it. Unfortunately for them, they were caught, and the diamond was never recovered. That’s where you come in! 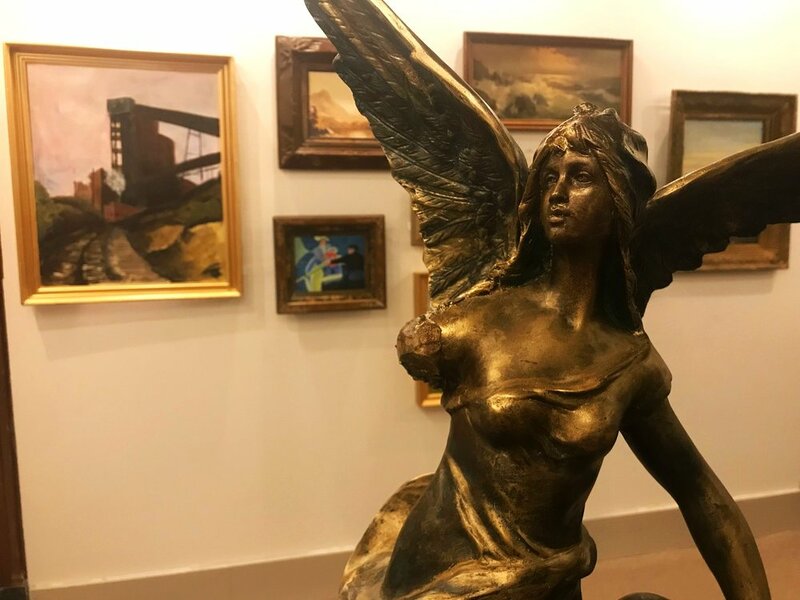 We have figured out that the thieves have hidden the diamond somewhere in the Fine Art Wing of the museum. We know they have left some clues for their team to find it. Your mission is to complete what the other team couldn’t! Disarm the alarm, use your skills, and follow the clues that the thieves left behind to find the diamond before the guards return on their hourly check. You have 60 minutes, starting… now! Can you do it? Note 1: This is a Shared Event, meaning that the room has eight spots available. If your group does not fill all of the available spots, there is a chance that another group may join you in the escape experience. If you prefer a private event, you may purchase all of the available spots for your desired time slot on a Friday or Saturday. All other days can be made private at no extra cost as long as we have the time slot available. Contact us to request a private event. Note 2: Our escape rooms do have audio and visual puzzles and clues. The rooms may also have lower lighting and/or flashing lights. If any of these may be of concern for you or a member of your group, please contact us and we will gladly make adjustments to accommodate your group. Looking for a little magic? Escape the Final Act is an experience like no other! The Story: Tonight, you witnessed the Great Houdini perform his incredible acts of magic! 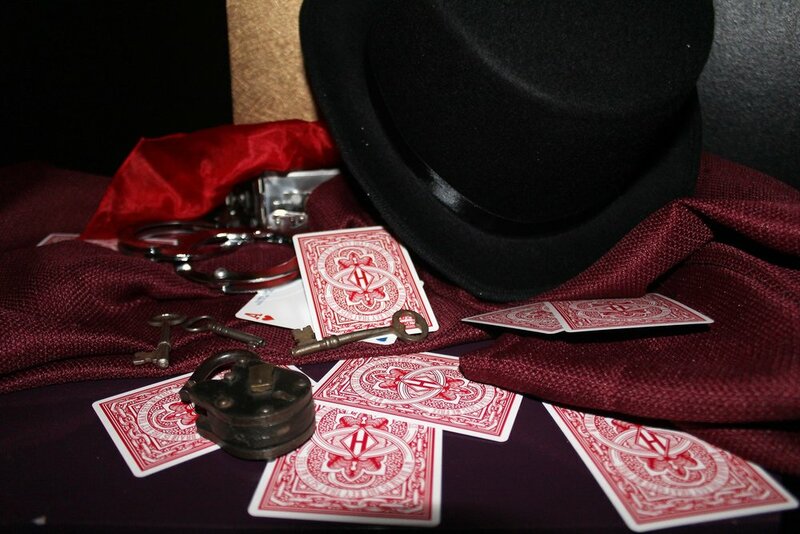 You were personally invited to meet the Great Houdini on stage after everyone has gone. The problem is after you entered the stage door, it locked behind you. The auditorium doors are locked from the outside. Is someone playing a trick on you, or is this a setup? One of Houdini’s competitors maybe? You must find your way out before you become the final act, a true vanishing act! You have one hour to pull off the greatest escape ever! Are you up for the challenge? Grab your team and see if you can escape Mine #109 before you run out of time! The Story: You are all finishing up a hard day’s work in the mines. You're covered in coal dust, and have already worked a twelve-hour day. Finally, the whistle blows for 6 o’clock. As you’re preparing to go home, you hear a large explosion. You were all supposed to be at the secret meeting of the Molly Maguires tonight to discuss the Shenandoah Bridge plot. The mine bosses must have found out and blown the entrance to the mine. Now, you must find your way out before the invisible gas, methane, consumes your lungs. You only have about an hour of oxygen left. Fortunately, as miners, you prepare for these types of events. There is another way out, but you’re not going to like it- Dead Rock Run. Note1: This is a Shared Event, meaning that the room has eight spots available. If your group does not fill all of the available spots, there is a chance that another group may join you in the escape experience. If you prefer a private event, you may purchase all of the available spots for your desired time slot on a Friday or Saturday. All other days can be made private at no extra cost as long as we have the time slot available. Contact us to request a private event. Slightly different than a traditional escape room, this private event is a ton a fun for groups. In this larger room, you will not be locked in, but will still have to work together to escape the room! The Story: Step in to the study of scientist and inventor, Dr. Humerus. His study stores all his research, holds his inventions, and is the place where he conducts his experiments. Which is why you are here today; to witness his latest experiment. At least this is what you were expecting. As it turns out, the doctor is running late, and someone in your group must have knocked over some test tubes. Suddenly, the doctor comes over a speaker and announces to the group the NEPA Virus has been released! He quarantines your group in the study. Apparently, without the antidote, the virus will take hold in only 60 minutes. Your group will have to find the cure in the study before it’s too late! There will be some challenges as the crazy doctor’s inventions cause some difficulties, the clues are locked up, and you will have to find the cure before everyone is “NEPAtised” forever! Note 1: This is a Private Event, meaning that once your group (of 6 to 16 people) schedules this experience, your group will be the only ones participating in the game.